These handy, durable PVC fasteners are tough. They grip your top rail like a clothespin and hold your cover tightly in place. Use two clips per upright. 5 pack. Eliminate the mess caused by decaying leaves each spring! Install a Blue Wave leaf net over your winter cover this fall and make spring opening quick and easy. The leaf nets tight mesh traps even the smallest leaves before they reach your winter cover. Other brands of leaf nets have larger mesh that allows small leaves to pass through to your winter cover and decompose in the spring. Simply lay the Blue Wave leaf net on top of your winter cover when you close your pool and remove it before the first snow. Your cover will be virtually leaf free and spring clean-up will be a snap. Eliminates that messy swamp of decaying leaves! Blue Wave leaf nets are made from durable woven polyethylene and carry a 4 year warranty. Above-ground leaf nets have an extra 3-foot overlap and include a cable and winch to hold it securely in place over your winter cover. Black mesh fabric. Magni-Clear Solar Blankets heat your pool fast! These durable 12-mil above ground pool blankets are laced with air bubbles that act as an insulating layer, shielding your pool from cool winds and night-time cooling. Magni-Clear Blankets allow more solar heat to reach the depths of your pool and heat it thoroughly. Invest in the solar blanket that will give you the best heating you can buy Magni-Clear! Guard your children & pets as you protect your pool! Durable, long-lasting Blue Wave covers are strong enough to support your entire family, yet light enough to put on or remove from your pool in five minutes or less. These premium covers are made of super-strong two-ply mesh with a break strength of over 4,000 lbs. Permanent anchors rest flush with your deck when not in use. Rest assured that your children and pets are protected from accidental drowning. In addition to its safety features, Blue Wave safety covers afford excellent winter protection for your pool. Its fine, lightweight mesh allows rain to seep through but screens out leaves and debris. Spring clean up is a snap because no water collects on the cover. The cover comes complete with brass anchors, stainless-steel springs, installation tool and storage bag. This pool cover is backed by a 12-Year Warranty. 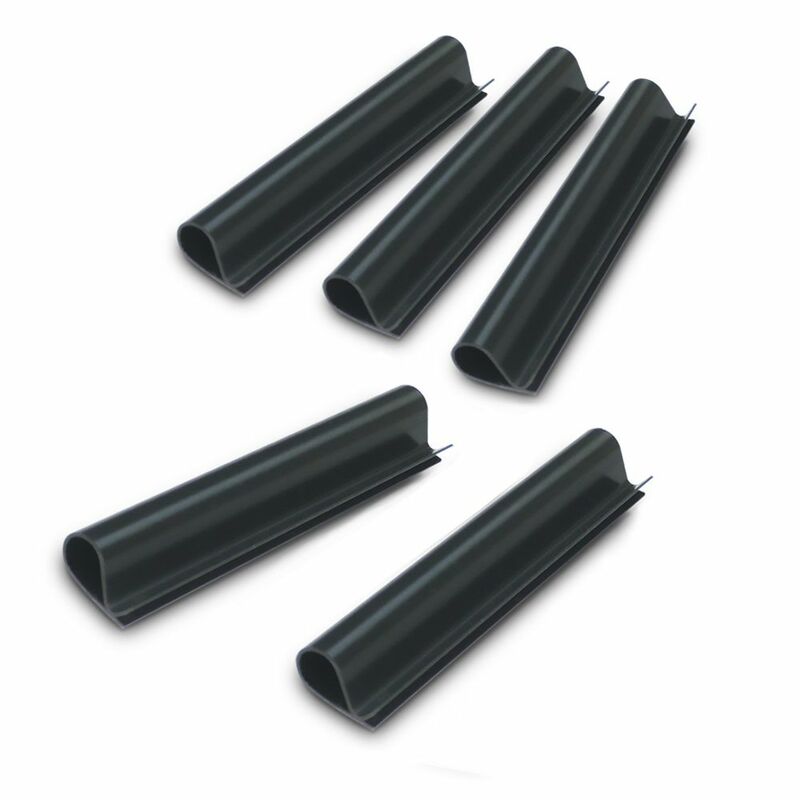 Cover Clips for Above-Ground Pool Cover (20-Pack) These handy, durable PVC fasteners are tough. They grip your top rail like a clothespin and hold your cover tightly in place. Use two clips per upright. 5 pack. Cover Clips for Above-Ground Pool Cover (20-Pack) is rated 2.8 out of 5 by 13. Rated 5 out of 5 by Frank from Helped keep cover in place. Worked great. ... Helped keep cover in place. Worked great.